Pop-punk innocence is the name of the game for THE UNWED TEENAGE MOTHERS. Their brand new 7″ EP on Speakertree Records proves this while also possibly being their most promising release to date. As you might be thinking, it’s been a little while since we’ve heard from the Unwed Teen Moms. Not much has changed for the band itself – they’re still fronted by Bass Drum of Death drummer Colin Sneed – but their sound has definitely changed a bit. The band is coming back with what just might be their best release yet, with four new tracks of their sharp and innocent strand of pop-punk. 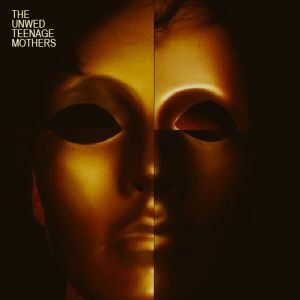 For anyone who doesn’t already know, the Unwed Teenage Mothers are known for their hook-heavy mastery, jamming an admirable amount of rockin’ guitar hooks in these short and sweet pop-punk nuggets. As you’ve probably guessed, that’s exactly what’s happening here. Songs are nice and warmly layered while also sounding clean and organized and this time there’s minimal lo-fi grit – something we’ve definitely heard more of in their past efforts. This helps make for a smooth and easy listening session as the 7″ turns out to be somewhat cohesive in its entirety. Songs also transition smoothly despite the fact that each is a beast of its own, meaning that these guys have certainly made a point to vary their sound. Opener “If You Think You’re Lonely Now” offers an ambitious beginning, starting the single with an inviting guitar jangle which is in turn fleshed out by glowing guitar leads and an optimistic pop-punk spirit. A song like this immediately sets the bar high for the remainder of the single, however you’d be surprised how well they follow it up. “Why Does It Have To Be Tonight” comes a bit later and is a propulsive punk stomper, filled out with a pulsing bass line and plenty of squealing guitar licks. In between those two raging tracks is “FFI” which is a quirky little pop number with a folksy guitar twang, leaving us with “Rain” to wrap up the single. “Rain” starts out heavy with some crackling guitars, suddenly morphing into a bluesy jam with plenty of fuzz and a groovy bass line that lazily guides us to the end. Once it’s all wrapped up, clearly the Unwed Teenage Mothers have left us with another stunningly catchy release. It would probably be in your best interest to head on over to Speakertree Records and grab one of these singles while you still can – with only 300 copies to go around, it won’t last forever. Please feel privileged to listen to the opening track “If You Think You’re Lonely Now” right below – for now this is the only place you can find it! BUY the 7″ directly from Speakertree Records – limited to 300 ! 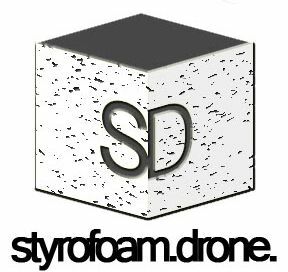 Posted on August 17, 2012 May 10, 2013 by styrofoamdronePosted in 7", Reviews, Still Spinnin'Tagged alternative, pop, punk.